The Hanging Gardens of Babylon were built by King Nebuchadnezzar II for his Queen Amytis who was feeling homesick. The gardens were to remind her of her homeland. The most popular theory is that the gardens were built by King Nebuchadnezzar II to make his wife happy. She was homesick for the plants and gardens of her homeland. 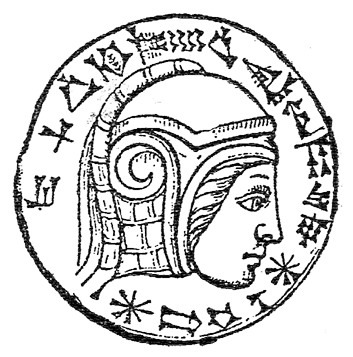 King Nebuchadnezzar II ruled Babylon from 605 B.C. for a period of 43 years. It was during this time that he is said to have had the Hanging Gardens built. The Hanging Gardens of Babylon weren't a garden like we think about gardens. King Nebuchadnezzar II only had the garden for 43 years. The way people found out about the garden later was by reading cuneiform. Sadly though the garden was destroyed in 209 B.C. The Hanging Gardens of Babylon are thought to have been built in the ancient city of Babylon. Even though there is no proof that they actually existed, they are considered to be one of the Seven Wonders of the World. The garden was also considered the most romantic place. The gardens might also have been the work either of semi-legendary Queen Sammu-ramat (Greek Semiramis), the Assyrian queen who reigned from 810 to 783 BC, or of King Nebuchadnezzar II. The garden had an impressive height of about 75 feet (22 meters) high. The gardens also had ripe fruit and maybe even exotic animals. Investigators have also uncovered an ancient hydraulic system like a pump drawing water from the river. The most popular story is that the Hanging Gardens of Babylon were built in 305 B.C. by King Nebuchadnezzar II for his Queen who was home sick, that it took around 43 years, and then was destroyed. In spite of this, it became one of the Seven Ancient Wonders of The World. Carlos A. Student, Elias D. Student, Adrien G. Student, Melanie F. Student, Carlie C. Student, Marissa S. Student, Jayden W. Student, Hailey W. Student, Alexa R. Student "The Hanging Gardens of Babylon by Carlos Avonce" AwesomeStories.com. May 30, 2017. Apr 23, 2019.